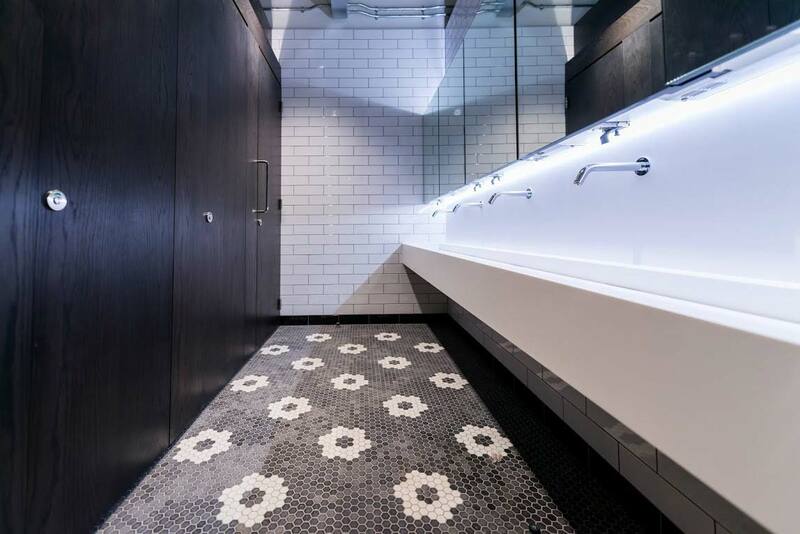 Wall partitions including, dot and dab to base build core walls also including tape & jointing, plus decoration works. 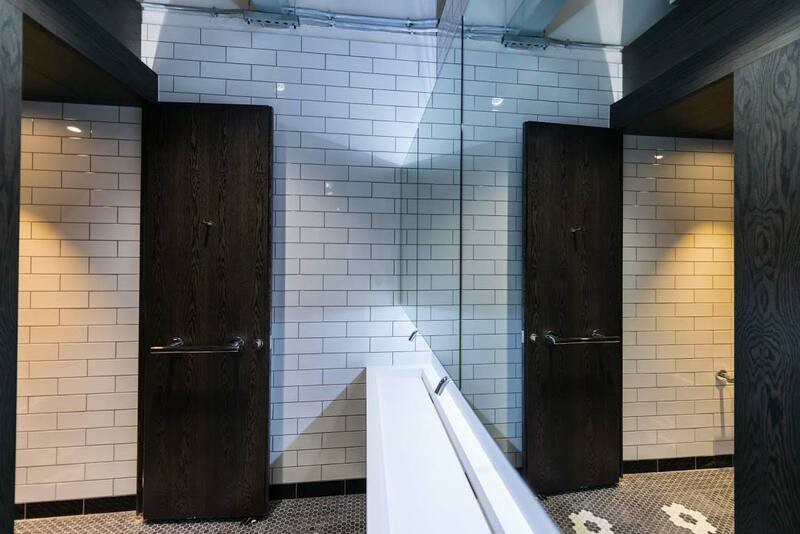 Bespoke smoked oak cubicle system with booked matched veneers comprising of solid divisions and cubicle doors on rising but hinges. 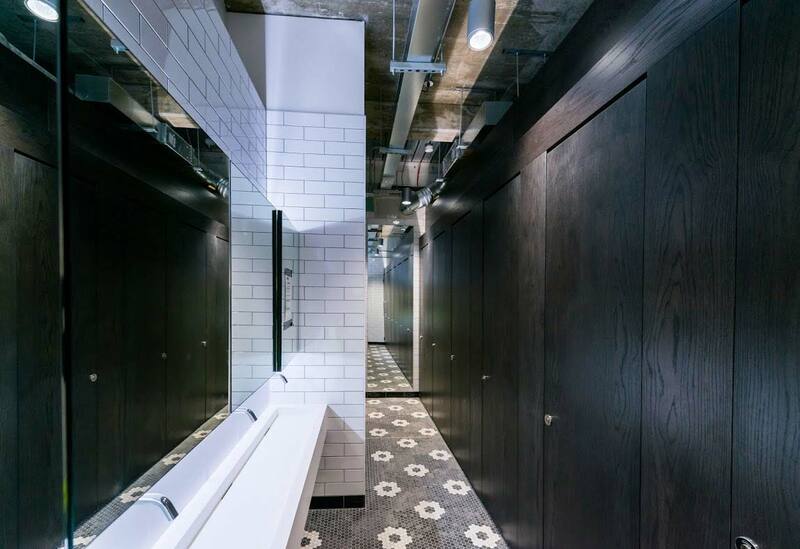 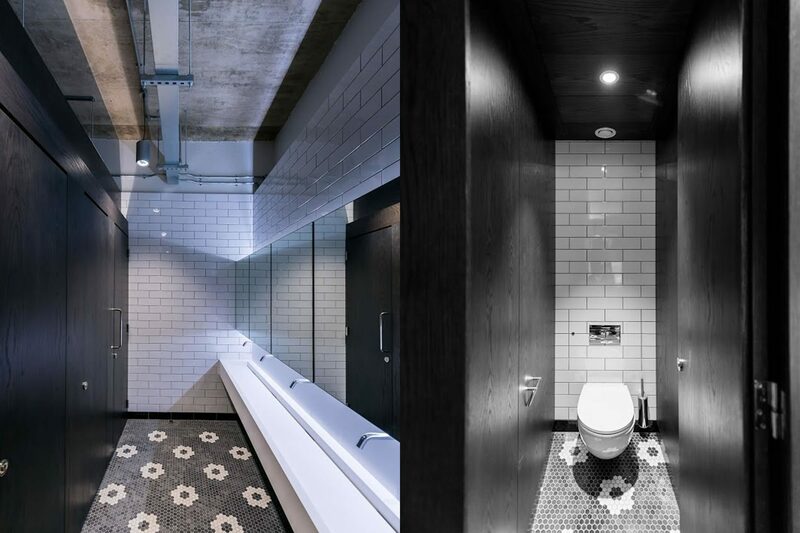 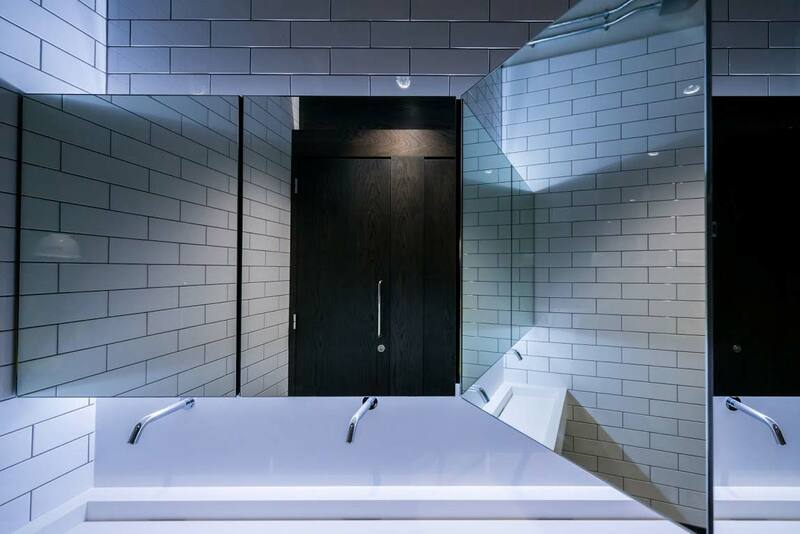 Due to no ceilings within the main toilet areas, the cubicle and cubicle ceiling systems were designed to be a self-supporting system to work with the architect & clients industrial concept look for this area. 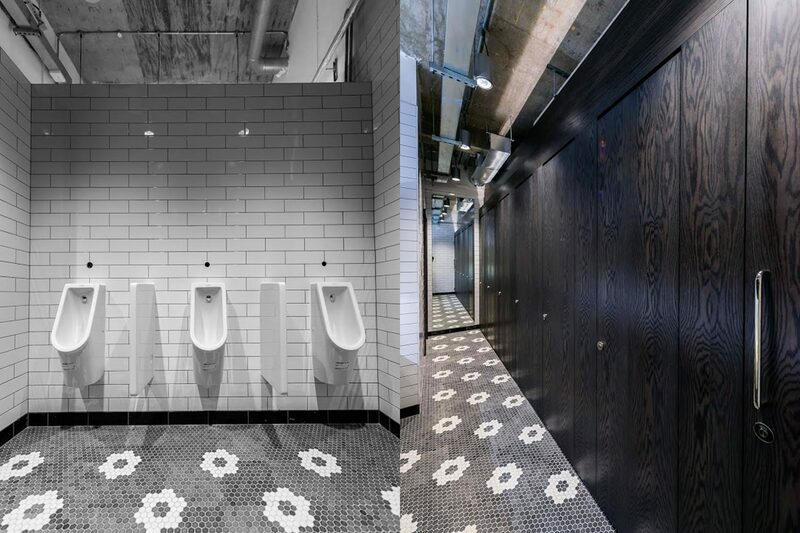 Tiled IPS system to the cubicle and urinal areas with cistern access and urinal privacy screens.